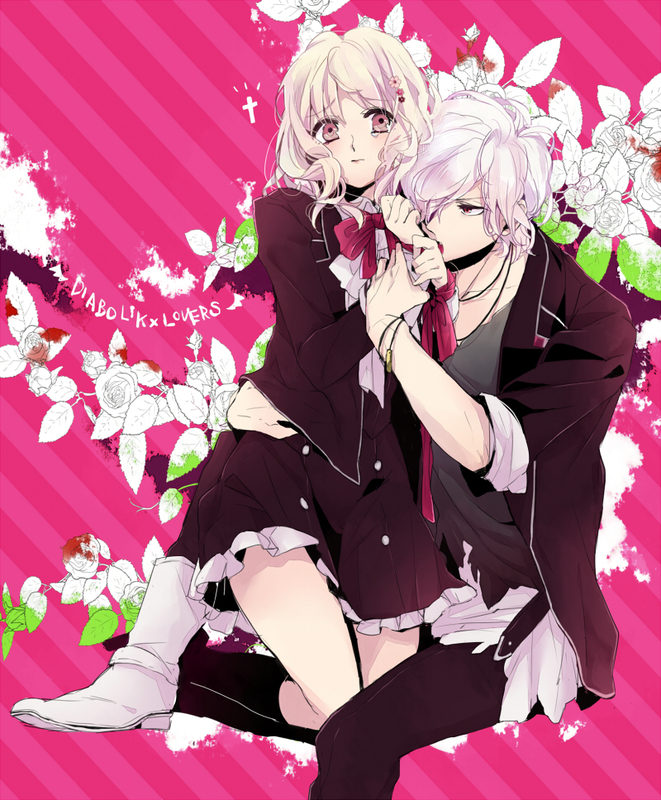 Diabolik Lovers. . HD Wallpaper and background images in the Diabolik amoureux club tagged: diabolik lovers fan art. This Diabolik amoureux fan art contains bouquet, corsage, posy, nosegay, and parasol. There might also be signe, affiche, texte, tableau noir, tableau, and affiches.